While trying to decide on a new place to visit in Florida, we decided it was time to make a trip to the west coast and headed to Sanibel Island for a 3 days stay at Sunset Beach Inn. From West Palm Beach it is an easy and pleasant 3.5 hour drive and before long, we were crossing the Sanibel Causeway which connects Sanibel Island to the mainland. There is a $6.00 toll charge to get across. There are three separate bridges with man-made islands (Causeway Island Park) where people park and enjoy the beach, windsurfing or fishing. Before the Causeway was built, people had to get across using a ferry. As you cross the Sanibel Causeway, you can easily spot the Sanibel Lighthouse at the far end of the island. Once on the Island, a feeling of relaxation comes over you as you drive slowly through the quiet streets. We arrived at our destination in the afternoon, checked in, unpacked and someone brought us a large wicker basket full of breakfast goodies for the following morning. Bagels, cereal, fruits, milk, orange juice, yogurts, muffins, jellies and cream cheese. Why wait till morning….we were famished! Everything you need you can pretty much find on the island. There are two grocery stores, Jerry’s and Bailey’s also coffee shops and several restaurants. During our stay, we enjoyed a fabulous breakfast at the Lighthouse Cafe and lunch at the Island Cow. 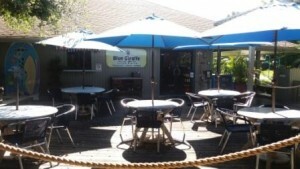 For our shopping destination, Periwinkle Place was the closest with unique gifts, decor and island apparel. Many hotels on Sanibel offer their guests free bicycles. Biking is very popular on Sanibel and the bike trails are separate from the roadway therefore very safe for everyone especially families with children. There are several bike rental facilities on the island. You can bike all the way to the Sanibel Lighthouse. Sanibel Beach Park sits on the far east end of the island and has parking ($4 per hour), restrooms, picnic tables, beach access good for shelling. 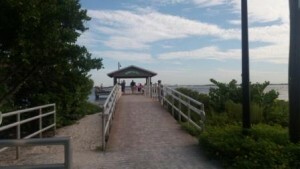 The Sanibel City Pier is a popular place for fishing, look for dolphins and flying fish and watch pelicans feeding. Although operational, the public cannot climb the lighthouse and only have access to the surrounding grounds. 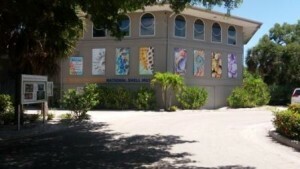 For all there is to know and discover about sea shells, visit the Bailey-Matthews Shell Museum. We especially enjoyed the tank talk. A great experience for the whole family. 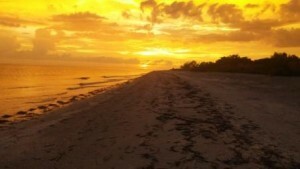 Another very popular place to visit on Sanibel is the J.N. Darling National Wildlife Refuge. We loved driving through the Wildlife Refuge with spectacular views all around…lots of birds but no alligator sighting this time. Wildlife is more active during the cooler months. You can also bike or ride a tram through the 4-mile drive. An observation tower, multiple trails and boardwalks, kayak/canoe trails, restrooms are all accessible to the public. Our hotel was right on the beach and every day we took our walk in the morning and at sunset times. Definitely enjoyed the magnificent sunsets. Sanibel is famous for shelling however during our stay, we had no luck finding anything from the ordinary shells. But something unexpected happened to us. We were bit by microscopic midges or sand flees. No-see-ums are the smallest blood-sucking insects on earth and, like the mosquito, only the females bite. We had so many bites and the intense itching that resulted was pretty unbearable. Even after returning home, 5 days later, we were still scratching. Apparently, many people know about this problem but we were not told upon arrival that we should spray or cover ourselves with anti-bug repellent before going on the beach. Oh well, you live and you learn. So come prepared for these insects if you ever visit Sanibel. Although living in Florida for over 40 years, this was our very first visit. We relaxed, enjoyed the beautiful sunsets, loved the quiet streets, shopping, dining and biking. 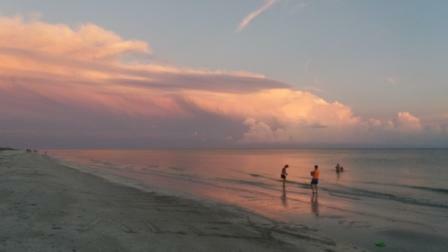 Overall, our trip to Sanibel went very well except for the sand flees however we would love to visit again in the future perhaps in the winter months. 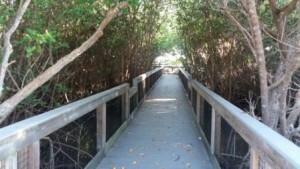 Exercise, Health and Wellness, Hiking Trails, Nature Trails - Nature Centers, Other Places to Visit, Parks in WPB, Videos. permalink.